Although Cerro Chico reaches the remarkable altitude of 5300 metres above sea level, it is only a small mountain in the majestic landscape of the Andean plateaux. Indeed, its own name means simply “small mountain” in Spanish. However, due to its position on the plateau of Chajnantor, the top of Cerro Chico offers an excellent and relatively easy-to-reach vantage point from which to enjoy this stunning view. This 360 degree panorama picture is centred on the northeast, where the highest volcanoes — most of them above 5500 metres — are seen. In the centre is Cerro Chajnantor itself. 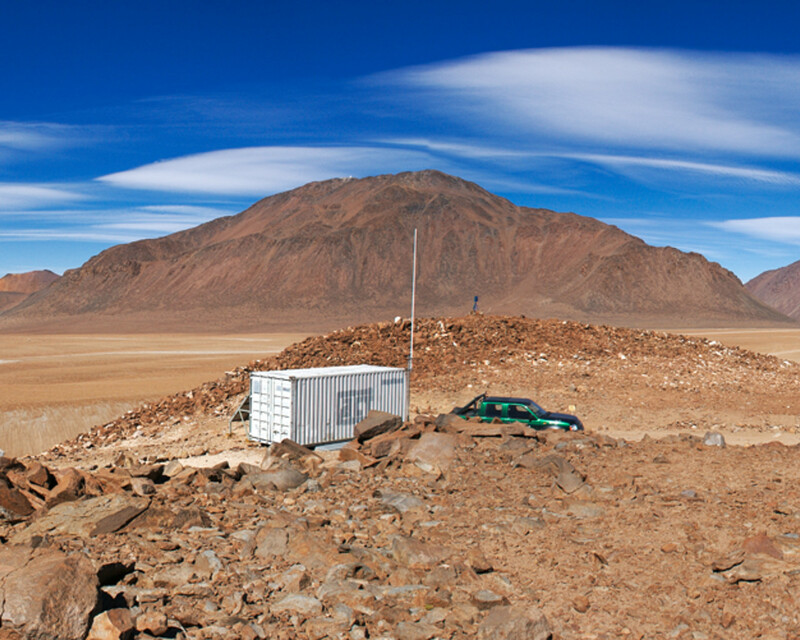 To the right, on the plateau, is the Atacama Pathfinder Experiment (APEX) telescope with Cerro Chascon behind it. Further to the right, to the southeast, the Chajnantor plateau is almost fully visible. 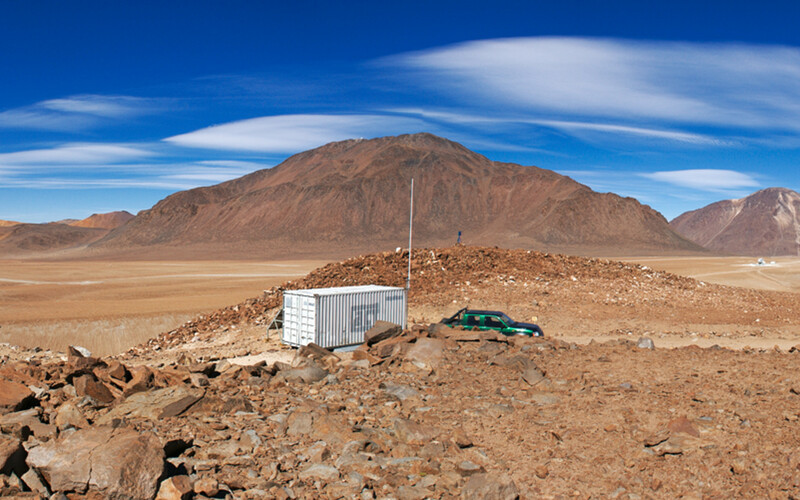 In addition to the APEX telescope, three Atacama Large Millimeter/submillimeter Array (ALMA) antennas can be seen, on the right. Many more have been added since this panorama was taken. On the left of Cerro Chajnantor is Cerro Toco. Further to the left, in the northwest, we can see the distinctive conical shape of Licancabur volcano. On the Chajnantor plateau, at 5000 metres altitude, the air is so thin and dry that it seems never to fill one’s lungs. Thanks to these extreme conditions, the millimetre and submillimetre radiation coming from the rest of the Universe can pass through what remains of the Earth’s atmosphere above the site, and can be detected from the ground with suitably sensitive telescopes such as ALMA and APEX. APEX is a collaboration between the Max Planck Institute for Radio Astronomy (MPIfR), the Onsala Space Observatory (OSO) and ESO. 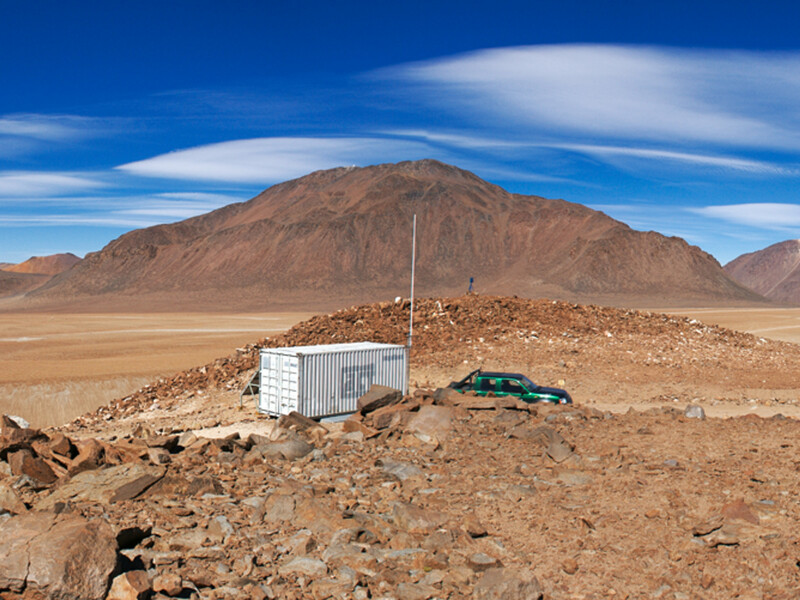 The telescope is operated by ESO.